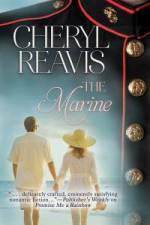 A devastating secret drove her from the man she loved. 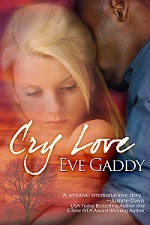 Will a deadly secret lead her back to him? 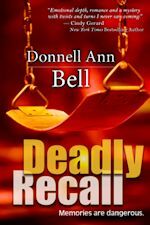 Diana Reid is an investigative reporter skilled at uncovering other people’s secrets. It’s her own secret that she’ll go to great lengths to keep buried—a secret that drove her to leave her fiancé and hometown of Diamond, Texas eight years ago. All that’s about to change when she receives a letter stating people are dying, and implicating her hometown’s largest employer. 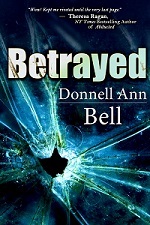 With no other choice, Diana risks her life and her secrets by returning to Diamond, Texas to uncover the deadly plot. It took Brad Jordan years to put his life back together after Diana walked out on him. Leaving his brother in charge of the family business, Jordan Industries, Brad pursued a law degree and is now mayor of Diamond, Texas. Just as he rebuilt his life after Diana’s desertion, he plans to rebuild his hometown by bringing in new industry and businesses. Those plans are threatened, however, when an El Paso physician notifies Brad that his family’s company may be conducting illegal practices and sacrificing the public’s health. The doctor’s evidence is circumstantial at best, but just the hint of impropriety will shut down the company and bankrupt the town. Brad is further conflicted when the physician suggests bringing in Diana Reid to uncover the wrongdoing. Diana is the last person he wants to see professionally or personally, and he nixes the idea. Unfortunately, she shows up anyway. Torn between his family and his oath of office, and recognizing she may be Brad’s only option to get at the truth, he’ll join forces with the very woman he’s vowed to forget. Together, Diana and Brad face a dangerous adversary intent on keeping their deadly agenda buried. 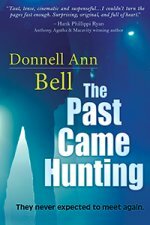 Donnell Ann Bell is an award-winning author of three romantic suspense novels, all of which have been ebook bestsellers. 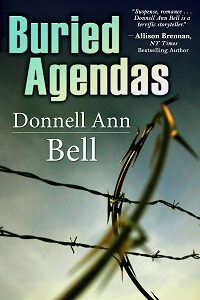 Buried Agendas is her fourth published novel. 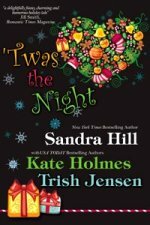 Currently she is working on a new suspense series for Bell Bridge Books. Donnell and her husband live in Colorado. You can visit her website at donnellannbell.com. SHE’D BEEN SUMMONED. On a day hot enough to make the devil pray for shade. With those words in mind, Diana Reid drove the bumpy, graveled stretch of County Road Five, sweating from a lack of air conditioning and an abundance of fuming. The desert scenery and kicked-up dust did nothing to improve her mood. She had no need of a college degree to know the purpose of the meeting. Despite all the nods and smiles the night of their engagement party, Brad’s family thought she was a conniving, gold digging, poorperson. All right. She’d admit to poor. As for the other unflattering adjec­tives, she’d offered to sign a contract. Brad had laughed, taken her in his arms, and said there wouldn’t be one. But if that were true, why had his father and grandfather waited until her fiancé returned to Austin to call? The ’85 Fiat bounced over the cattle grate of the Rolling J Ranch, and, as Brad’s childhood residence came into view, Diana prayed the transmission wouldn’t slip. She parked under a cottonwood tree, not even pausing as she nor­mally did to admire the Jordans’ redbrick home. Complete with a wrapa­round porch, a five-car garage, tennis courts, swimming pool, and a servants’ entrance, the property ordinarily took her breath away. But nothing was ordinary this morning. Her mom had stressed self-reliance. Thanks to a degree in journal­ism, Diana was on her way. Even so, dealing with the Jordans on a con­tractual level made Diana feel very small. Brad would explode. She’d come to sign the agreement, but she was certain of her love for Brad Jordan, rich or poor, and nothingwould keep her from sharing a life with him. Still, she had something to say to his family. Gingerly, she pulled up on the door handle of the Fiat. The dented and rusty door stuck if not managed just so. Thank God she’d be in a position soon to afford car payments. Newly graduated from the University of Texas, she hadn’t needed a vehicle most of her college career. Now, transportation had become her first priority, the second to put the Fiat out of its automotive misery. The door whined, but she gained a small victory when at least it opened. Diana looked to the cloudless sky. Please be a sign. Shaking her hair free of its clip, she crossed the yard, trotted up the steps, and rang the bell. Chances were good that at least one person in the home would wel­come her. Enriqué, the Jordans’ houseman, always met her with a big old bear hug. But when Brad’s grandfather opened the door, her smile vanished, and so, too, did her fearless demeanor. She twisted the MIA bracelet she wore in honor of her father. "Diana,” the silver-haired man drawled, "thank you for coming. Let’s get you out of this heat.” Gallantly, he extended his arm and stood aside for her to enter. In the preliminary stages of stooping, Clayton didn’t have Brad’s height. But there was no denying the family resem­blance, particularly when his deep blue gaze found hers and he smiled. Did she dare relax? Could she have misjudged his tone when he called, or the endless stares throughout the years, or the night of the party? "That’d be great.” Measuring him with distrust, Diana followed him into a kitchen the size of her apartment. Her gaze floated over Corian countertops and stainless steel appliances as she glanced around for an ally. Where was Enriqué? As though she’d spoken the question out loud, Clayton poured a glass while saying, "I sent Enriqué on an errand. John got a call from the plant, and, of course, Neil’s helping Brad move his things back from school. Unwilling to prolong the inevitable, she followed. "We’ve had plenty of time to get acquainted. Why now?” With grow­ing suspicion and resentment, she placed the glass on an end table and folded her arms. 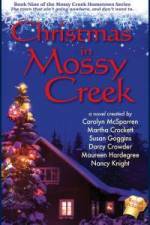 "You have it all figured out, don’t you?” Clayton lowered himself into the chair behind the desk. 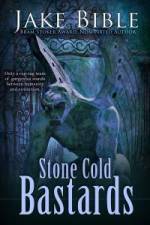 His gaze turned stony and any semblance of warmth disappeared. At the evil pervading the room, Diana resisted the urge to rub her arms and back away. DR. ELIZABETH Garcia exited exam room three of El Paso’s Good Shepherd’s Emergency Room, leaned against the wall, and tried to remem­ber the last time she’d slept a solid four hours. She closed her eyes. A brief siesta, that was all she needed. Running with David, brushing past hospital personnel, Liz sum­moned her calm. David had to learn to communicate with these people. But now wasn’t the time to stress to her East-Coast-educated husband about the value of learning Spanish in a Texas border town. Drawing the curtain aside, she acknowledged the agents, then noted the Hispanic man’s thrashing body along with his cherry red, sweating complexion. A bitter odor, not distinguishable as one of the hospital smells, but one she’d noticed in two other patients, filled the enclosure. Liz nodded and referred to the chart. Pulse was rapid, blood pres­sure two hundred over one-forty. "Yes, Doctor,” the nurse replied and immediately left the room. "Señor, comé se llama?” Liz asked. The man continued to struggle but didn’t give a name. Dammit, he was worse off than the others. With David still restraining him, she touched the patient’s forehead and found it hot to the touch. She pried open an eyelid. His pupils were dilated. Next, she unbuttoned his shirt. When the cloth separated, she saw an oozing rash making his skin look like the consistency of raw ham­burger. It covered his skin and ran the length of his torso. Far worse off than the others. "Oh my God,” one of agents said. At the raised voice, the stranger became agitated. The movement whipped him into a paroxysm of coughing, and he began choking up bright red blood. The nurse entered with the syringe, and David picked up scissors and cut away the detainee’s pants as Liz injected the drug into his thigh. Without argument, the operatives abandoned their charge. David helped Liz tie her mask. Hours later, Liz was the one who felt sick. David withdrew the crash cart, drew the sheet up over the man’s face, and met her gaze. They walked into the physician’s locker room, and by tacit agree­ment, removed their masks and gowns and gave each other space. 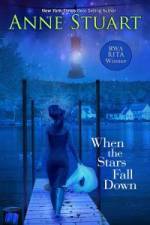 Eyes welling, she lifted her head. BRAD JORDAN WAS beginning to think of sunrise as the normal start to his day. He pulled his Navigator into the mayor’s reserved spot at City Hall, his fiancée’s words echoing in his brain. Go back to billable hours, Brad. People think twice when a man’s time is expensive. She had a point. During his three months in office, he’d been called in lieu of the fire department, as a substitute for directory assistance, and one constituent had even insisted he come out to repair a water main break. He’d run on an open-door policy to replace an eighteen-year incum­bent who had not. Obviously, the voters of Diamond were intent on Brad keeping his word. The call that had roused him today wasn’t a nuisance call, however. Liz Garcia hadn’t made them when they were kids—as a practicing ER physician, she wasn’t likely to make them now. "The earlier the better,” she’d told him. "I have to be back in El Paso by noon.” So, at 5:45 a.m., he slid his key into the rear entrance of City Hall’s glass-enclosed, wrought-iron door, making enough noise to alert the night watchman as he stepped inside. Brad held back a sigh. The night watchman had been on the city’s pay­roll a lot of years. Never late, never sick, he was, however, fading in his ability to do this job. He was also mere months from retirement and from earning a full pension. Something Brad would never deprive him of—that was, if he had any choice. The federal government had created the Department of Homeland Se­curity after 2001, and law enforcement and government buildings had been in flux ever since. Recently, Brad had received notice from the Texas state governor that in the upcoming months, all government buildings under Brad’s jurisdiction were to be retrofitted with metal detectors, cameras, and enhanced security. All necessary, he agreed. All he could hope was that Wiley would be happily enjoying his golden years by the time the policies took effect. "Good morning to you, too, Wiley.” Smiling, Brad headed for the stairs. A short while later, three sharp raps yanked him from a planning commission report. Her gaze roved over the mini-kitchen beside a cherry wood confer­ence table, passed the matching bookshelves, and paused at the tax-payer-bought artwork. Brad hoped she wouldn’t ask for a tour. She’d discover how right she was. He was still incensed at the money the for­mer mayor had spent renovating this office over the years—all on the backs of the taxpayers. Admittedly, Brad had put the bathroom to use. Complete with a mar­bled steam room and mirrored walk-in closet, it was an ostentatious nightmare. Nevertheless, with the hours he’d been working, he’d turned the space into a makeshift gym, even hauling his weights into the space from the ranch—using his own money, of course. "I couldn’t have gone back to sleep if I wanted to. You said you have a problem that concerns me?” He returned to his own chair behind the desk. A paperweight shaped like the state of Texas sat on the desk’s edge. She picked it up, studied it for several seconds, and set it back down. "I’m sure it’s no surprise to you that every once in a while, the border patrol brings in Mexican nationals. For a few weeks now, we’ve been seeing an unidentifiable rash in young men coming through the ER. "Knowing all the Russian olives, scrub oak, and other elements of the desert terrain they’re exposed to, I wasn’t alarmed at first. I simply treated them and sent them on their way. In the last two weeks, though, I’ve noticed some of these rashes are getting progressively worse. Brad steepled his fingers. Liz was visibly agitated, which made him question her career choice. Surely, she had to know in the field of ER medicine, she couldn’t save every patient. Whatever the case, he was having a hard time following how a man’s death in El Paso had anything to do with him, or for that matter, the mayor’s office. "He claimed he’d been crossing the border and working near Diamond,” Liz continued. Finally putting two and two together, Brad did his best not to scoff. "And you’re suggesting Jordan Industries had something to do with these rashes and this man’s death?” Jordan Industries was the chemical pro­cessing conglomerate his father had built into the region’s largest em­ployer. She stared back, obviously believing just that. Brad stood, walked to the bookshelf, and pulled out a regional phone book. Returning to his visitor, he held it out for her inspection. There, on a single page, he counted fifteen Jordans alone. Brad’s pulse quickened. Liz’s father, an analytical chemist, had re­tired from Jordan. Liz had gone to school at Rice on an academic scholar­ship given by the company. And while he appreciated her loyalty as well as her predicament, if she reported this incident, the company would fall under major government and media scrutiny. That’s all it would take to open up an investigation—create a public relations’ scan­dal—all based on the hearsay of a man’s dying statement. "I know my brother,” Brad said. Brad inhaled a relieved breath. A viable alternative? How the hell was he supposed to do that—invest in a crystal ball? Weighed down by the magnitude of what she was ask­ing, Brad returned to his desk and stared at the card until the print ran together. Unbelievable. An accusation against Jordan and a reminder of Diana Reid in less than an hour—the sun hadn’t fully risen yet, and already, his day was in tatters.